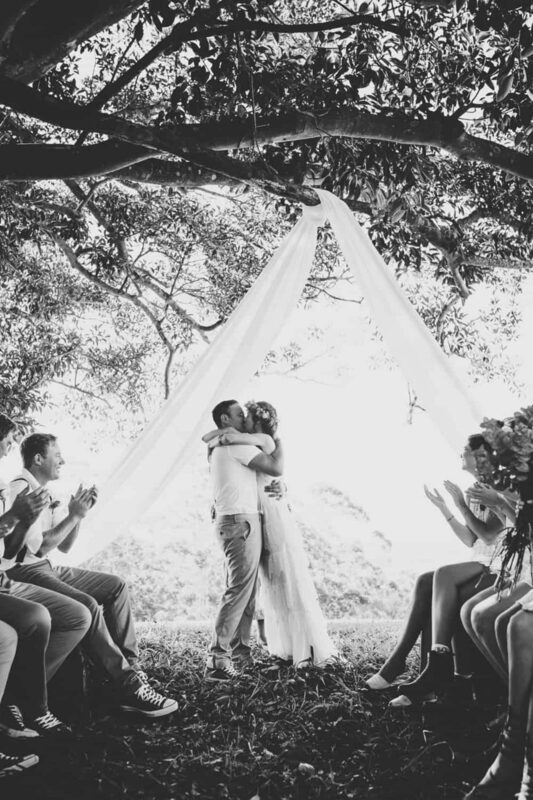 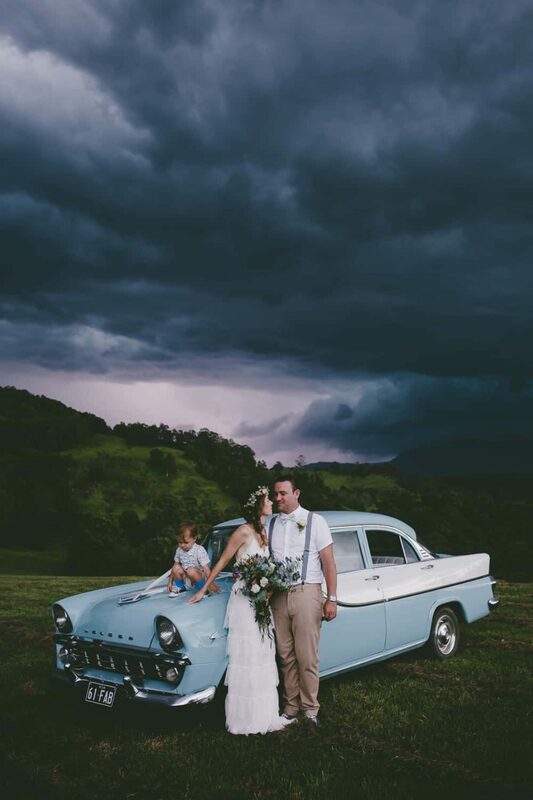 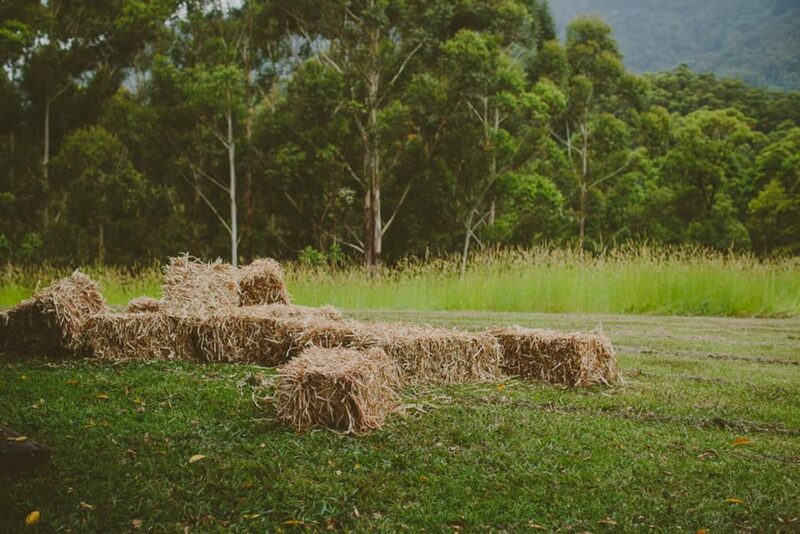 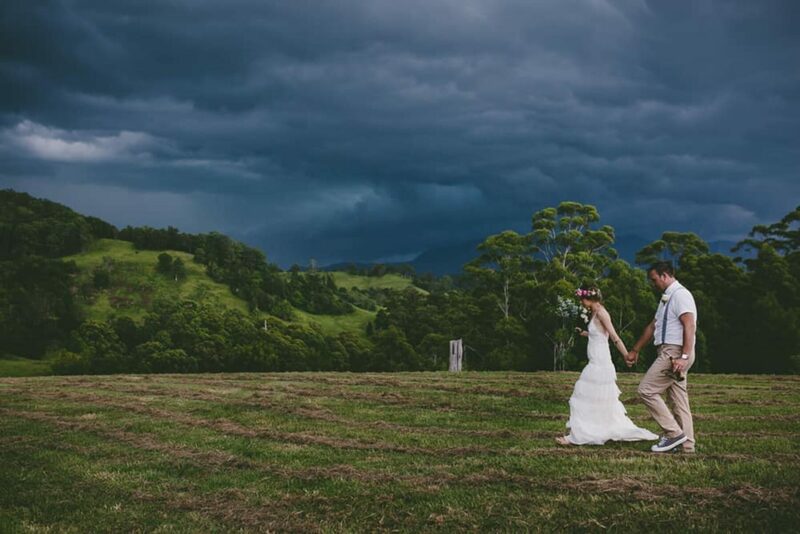 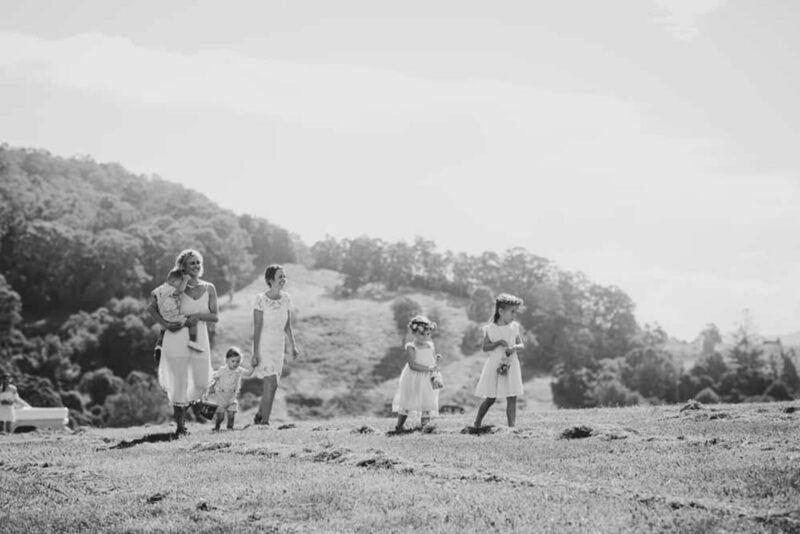 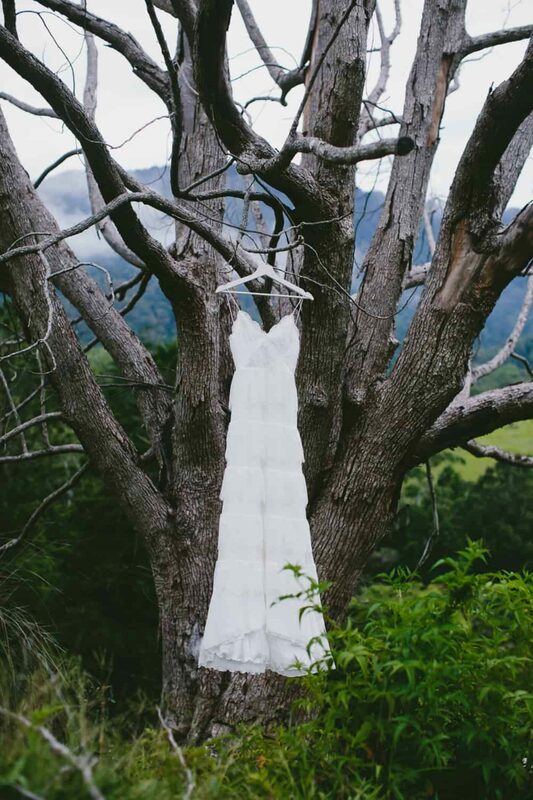 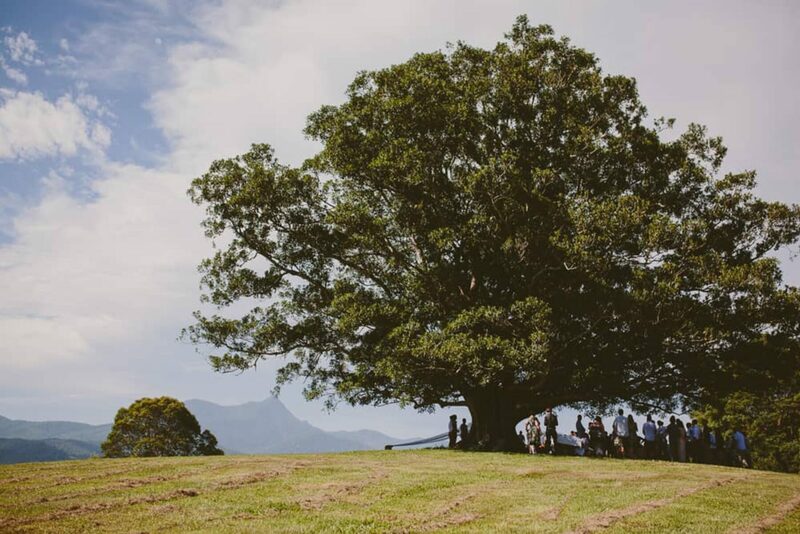 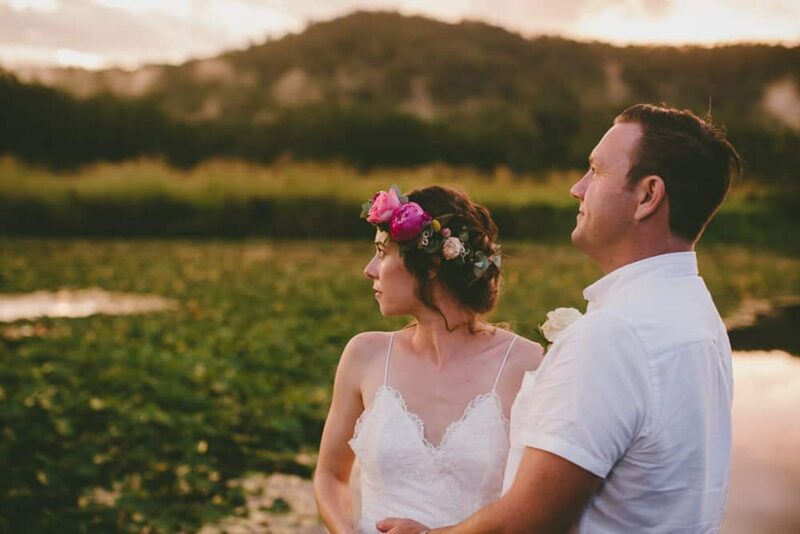 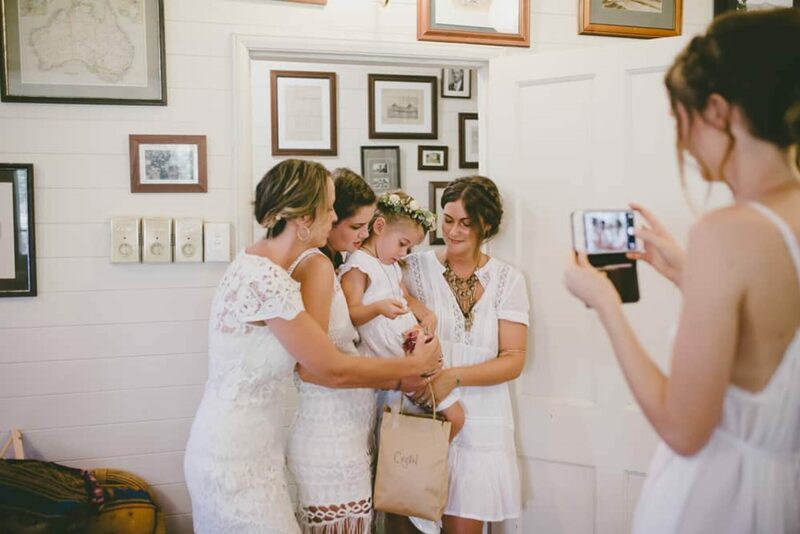 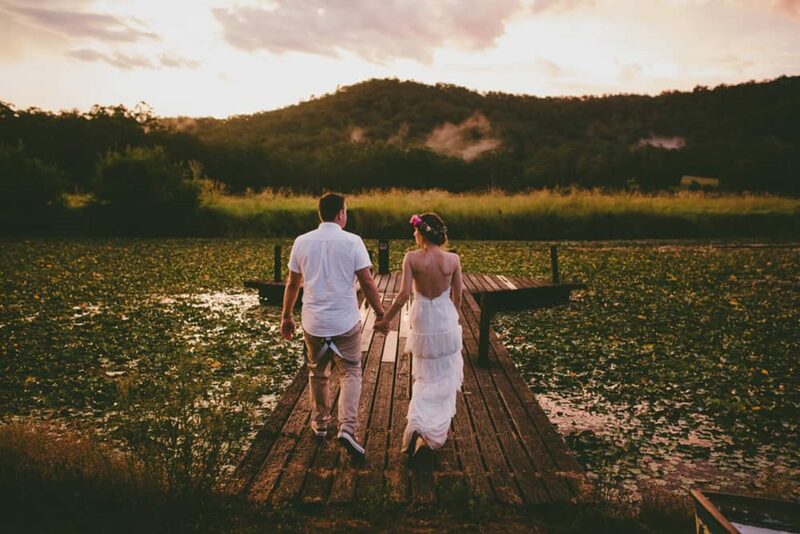 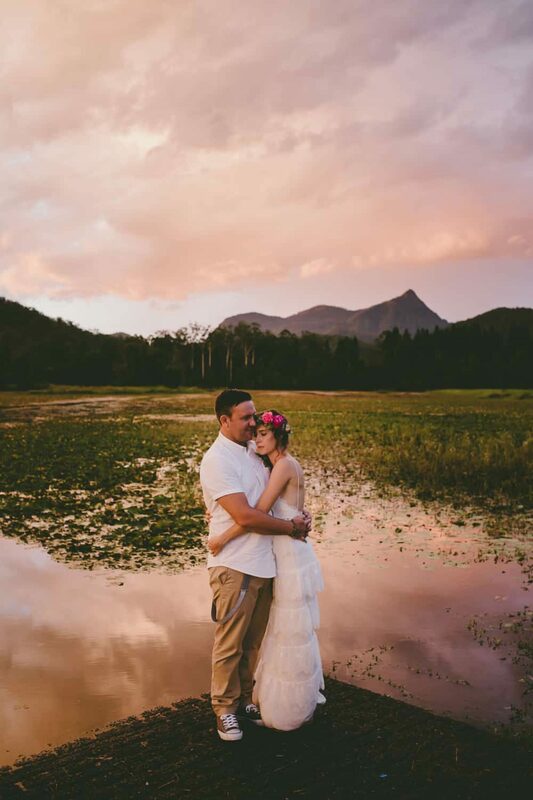 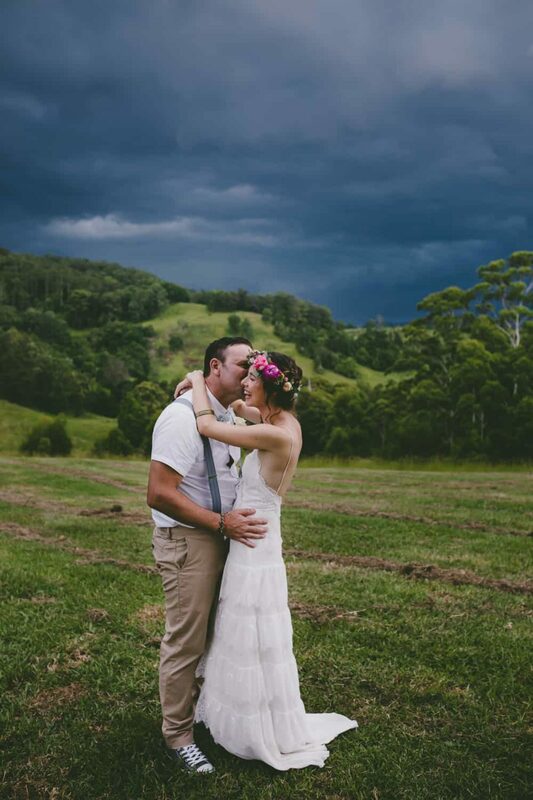 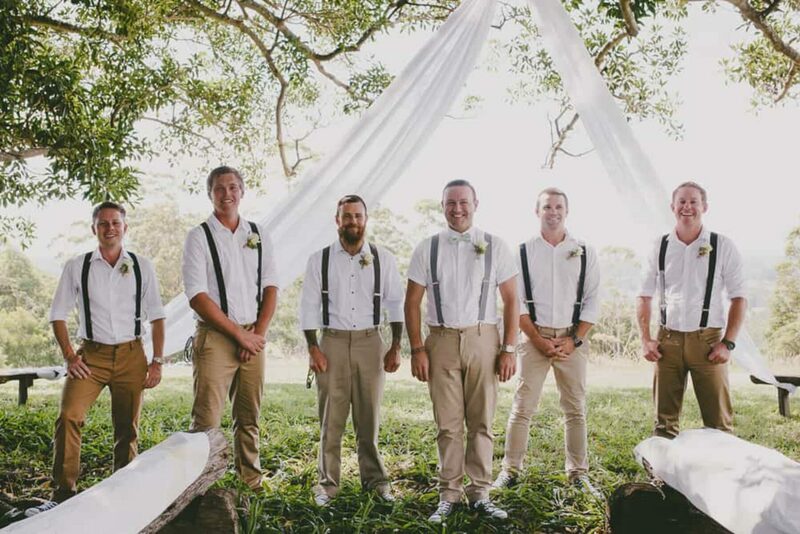 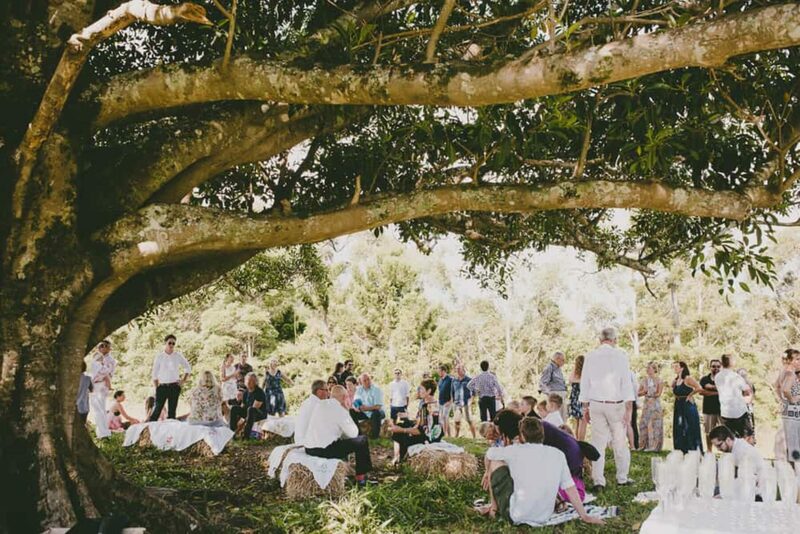 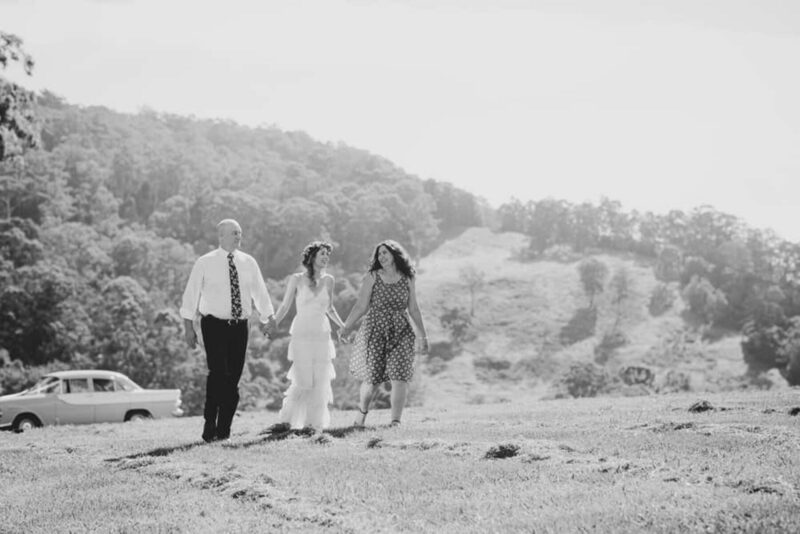 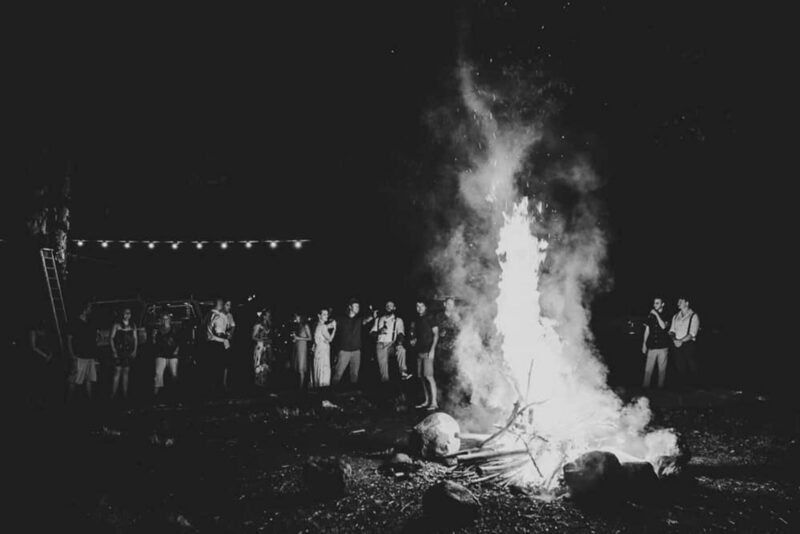 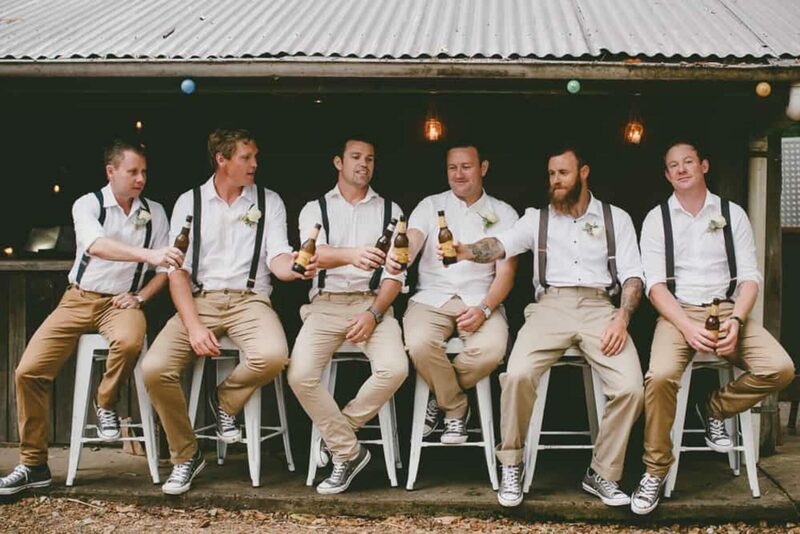 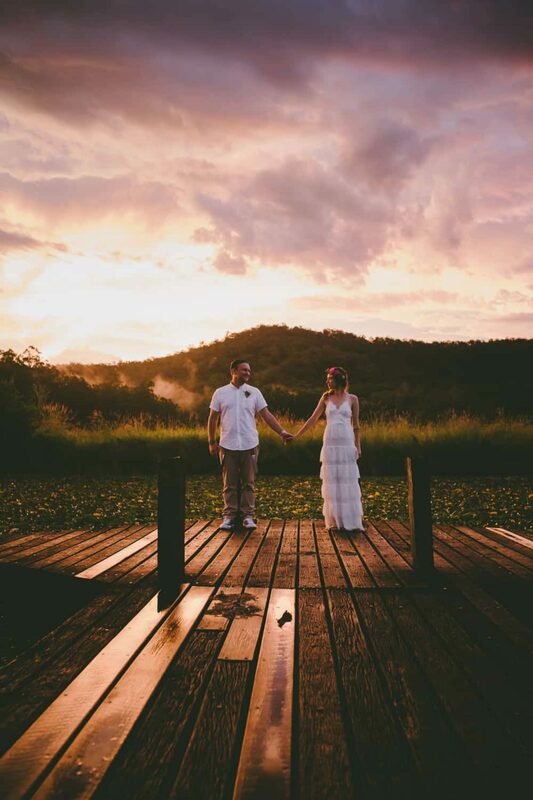 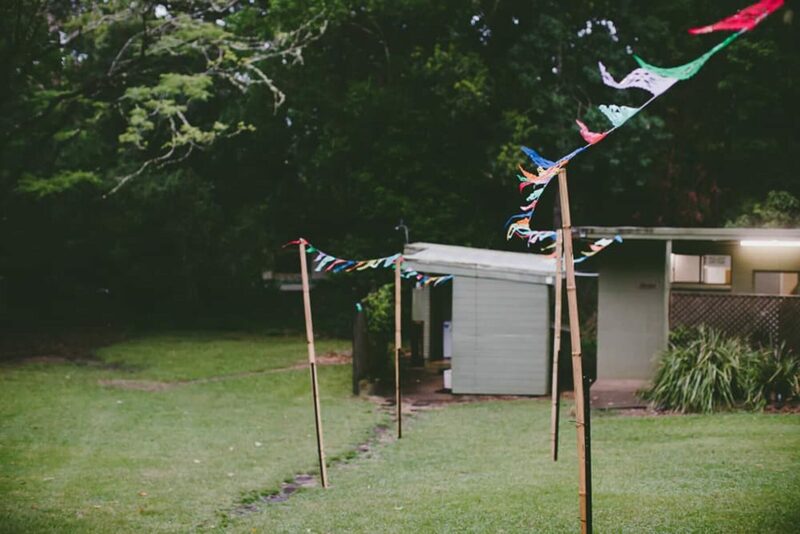 Lise and Luke’s rustic Midginbil Hill wedding is the kind that so many dream of – a relaxed, weekend-long celebration with family and friends on a picturesque working cattle farm near Byron Bay. 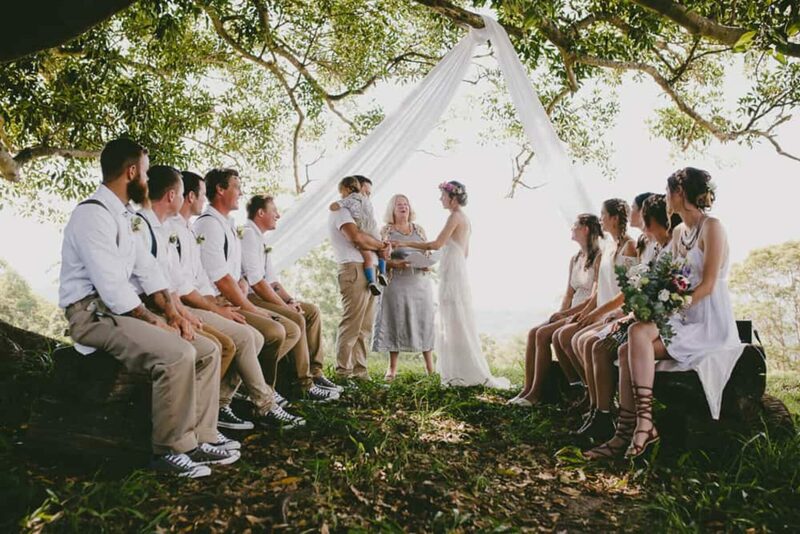 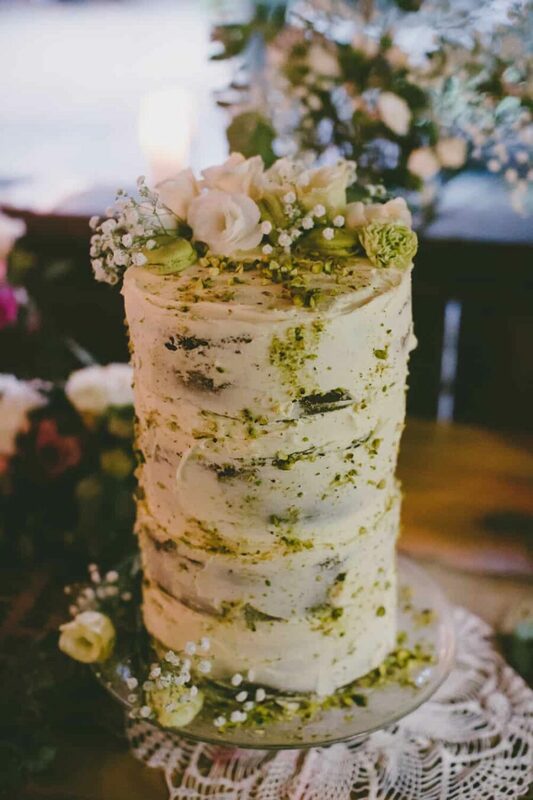 There is no question Bonnie had plenty of pretty to work with – a ceremony beneath a big old fig tree where guests were seated on hay bales followed by a dramatic storm and a reception in a barn decorated with flowers, lace and candles. 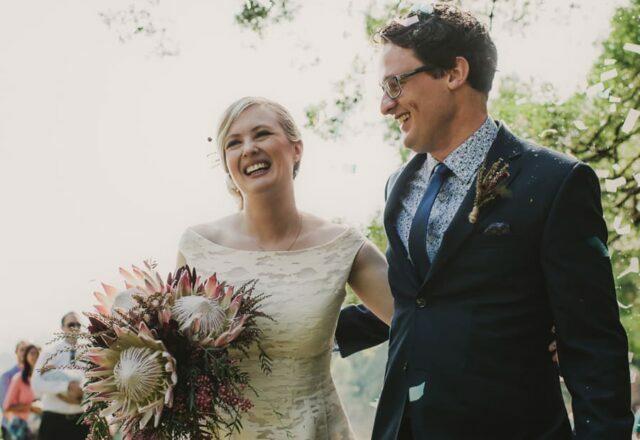 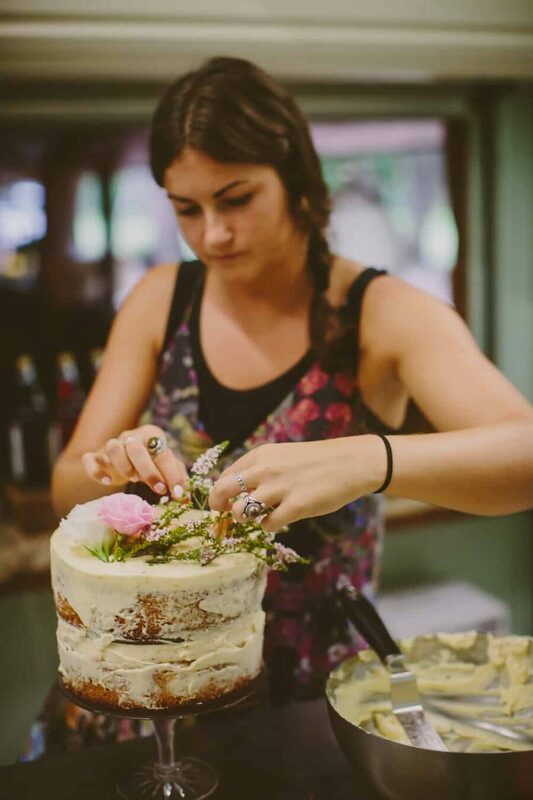 Lise says, “We knew early on we liked the idea of a weekend long wedding where we had time to catch up properly with family and friends. 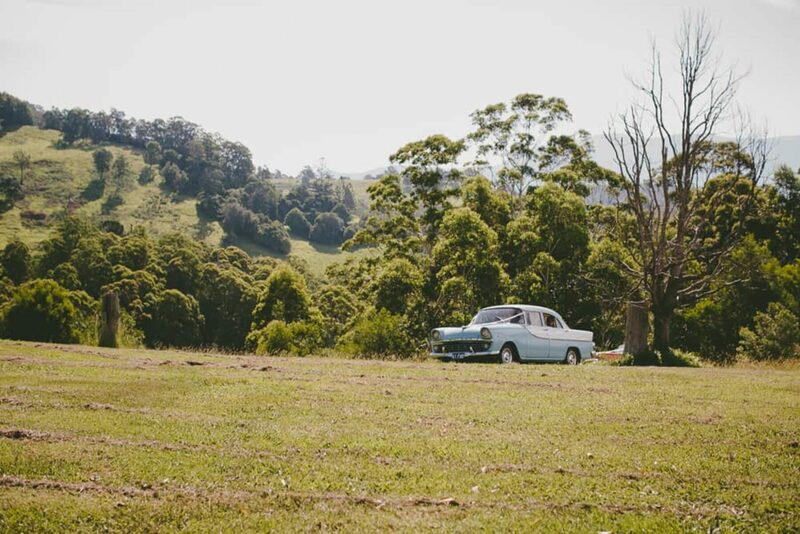 After visiting Midginbil Hill it just felt right. 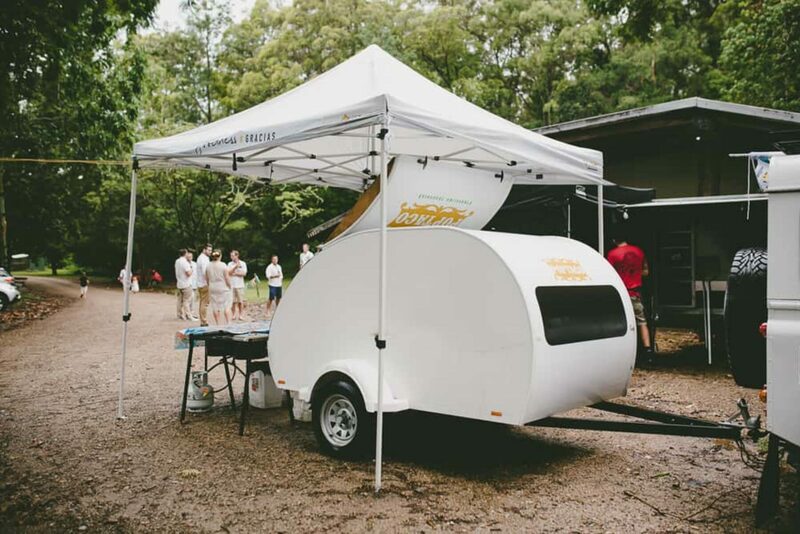 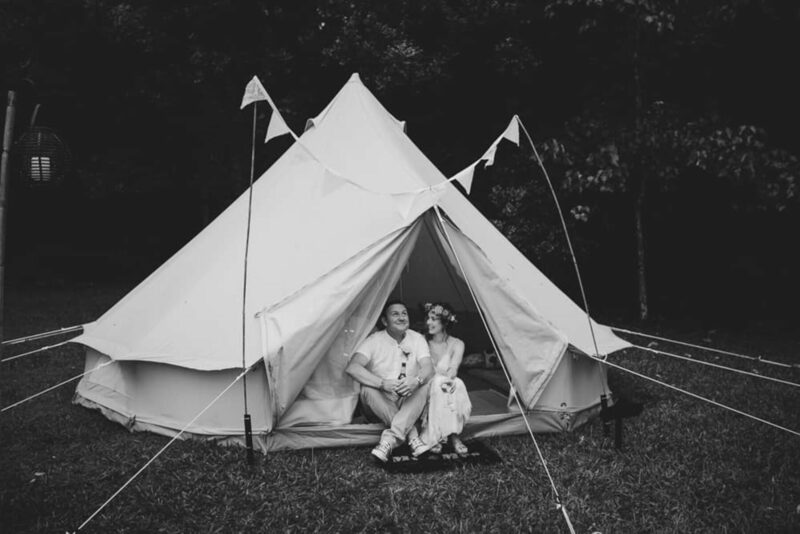 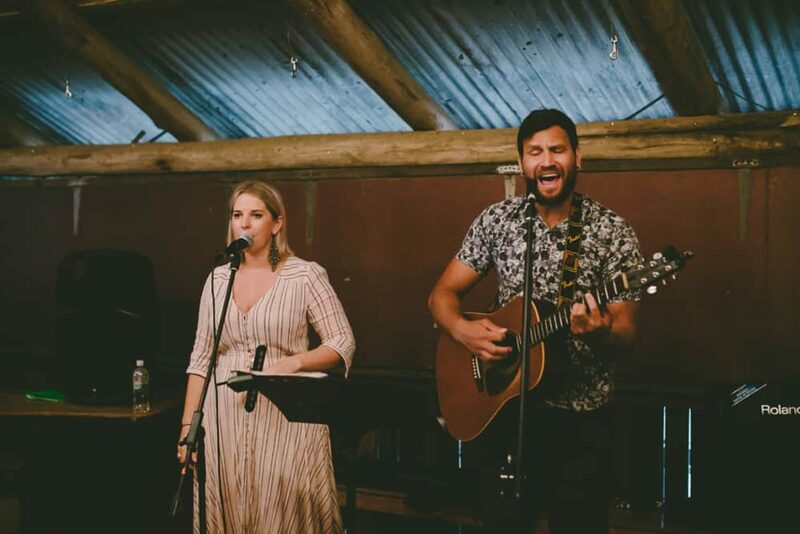 The venue is in a beautiful part of the world and it offers different accommodation options so all guests can stay on site if they chose.” Luxury tents from Glamping Days Hire Co provided on-site accommodation for the bride and groom and some of their guests. 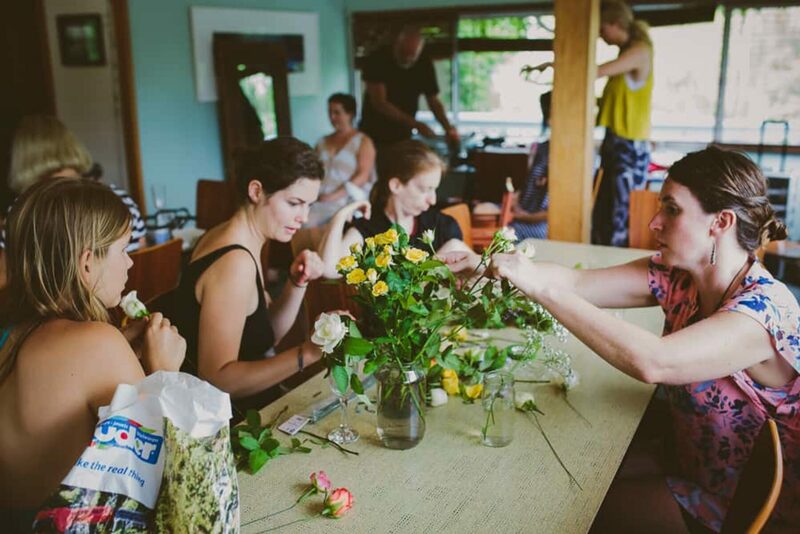 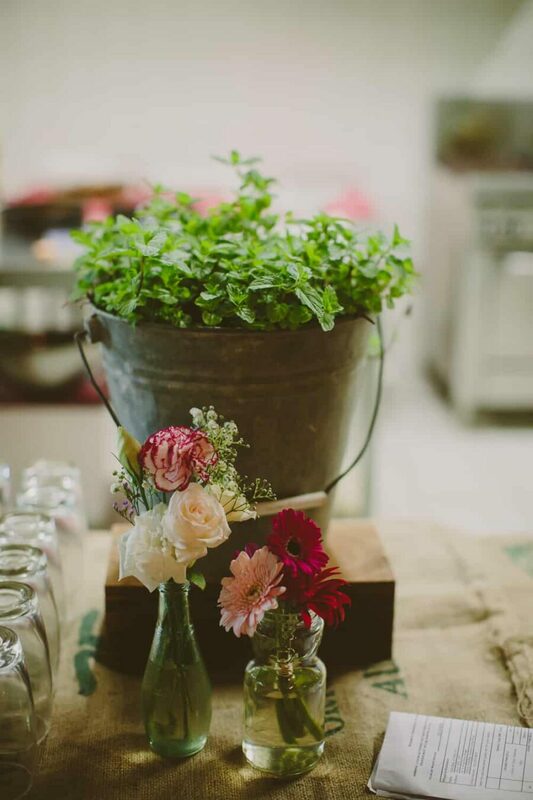 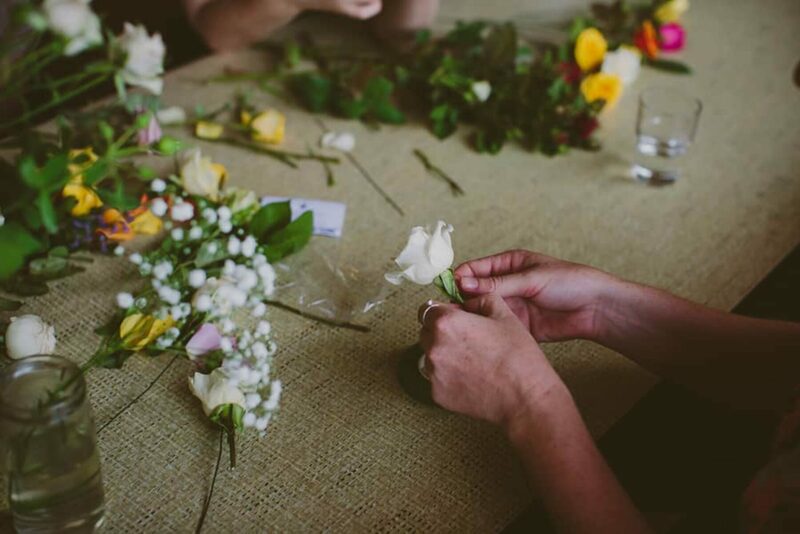 Lise’s sister was in charge of arranging the florals purchased from a wholesaler, and enlisted a bevy of helpers to put together jars of colourful flowers for the reception. 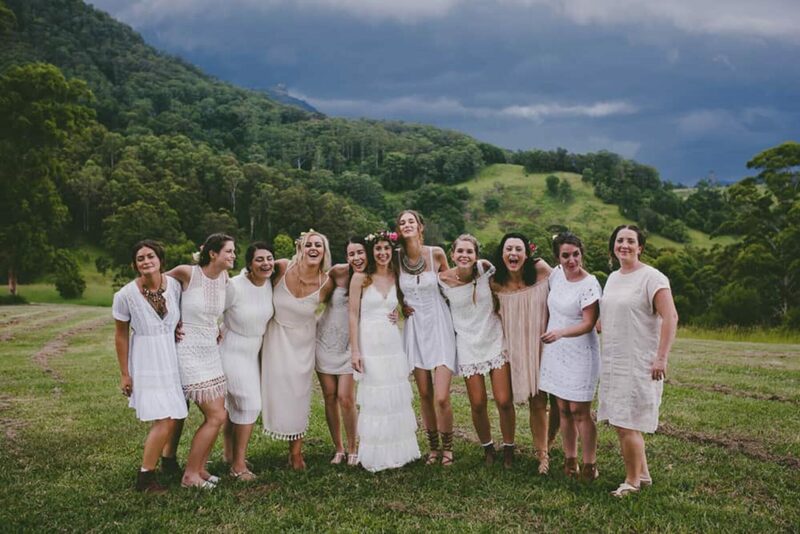 Lise’s tiered dress by Erin Featherstone for Free People blended perfectly with the rustic, laid back vibe of the weekend. 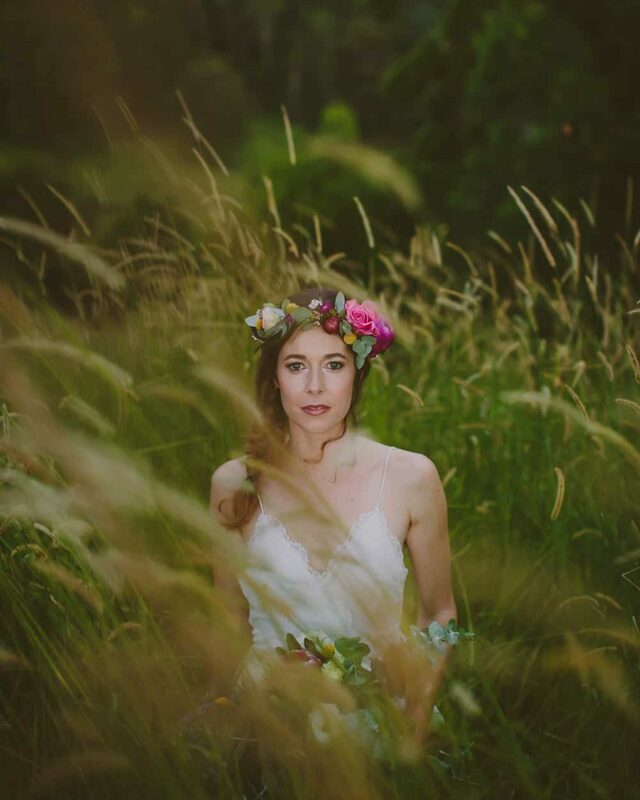 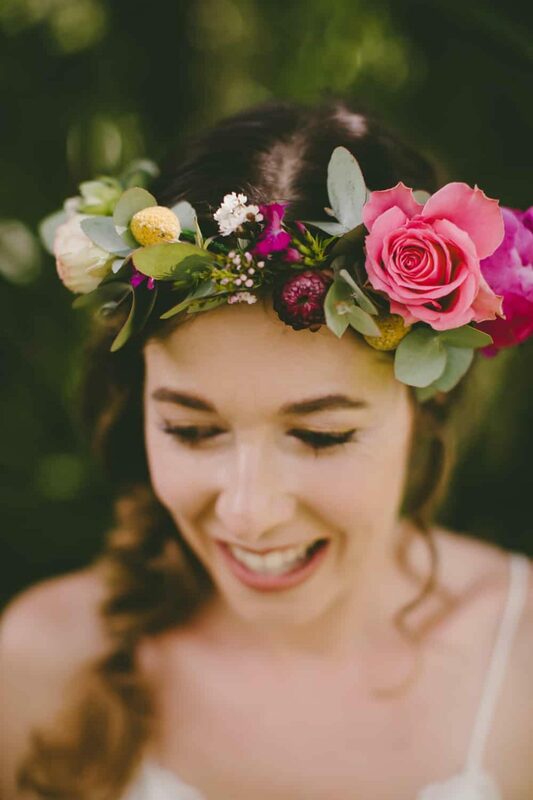 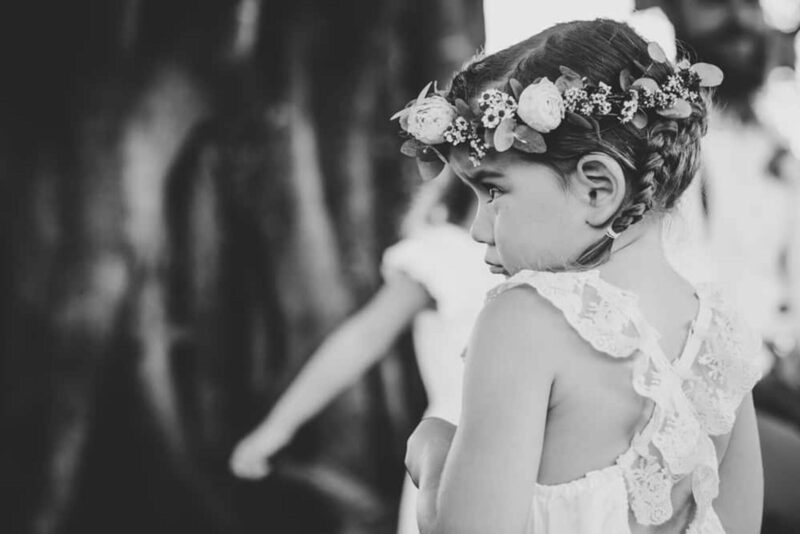 She topped off her bohemian look with a sweet floral crown by Skeleton Leaf. 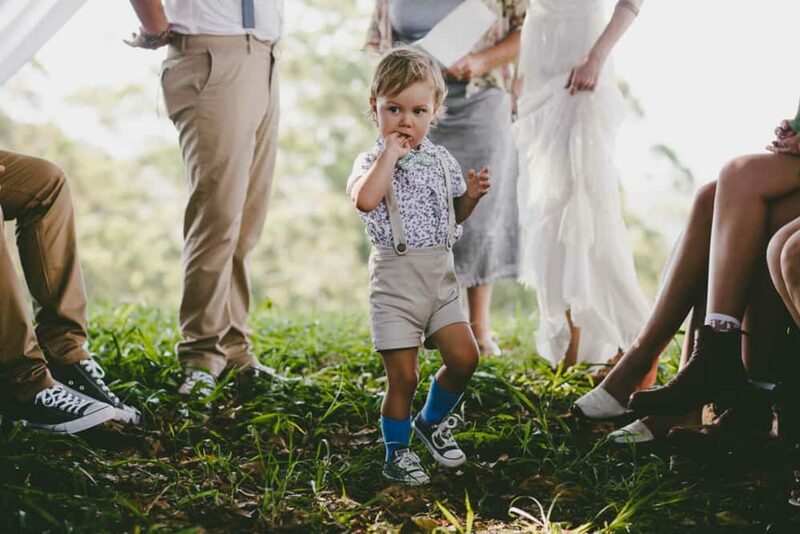 Lise and Luke's little boy Thomas looked particularly dapper, outfitted by Letti and Silly Horse. 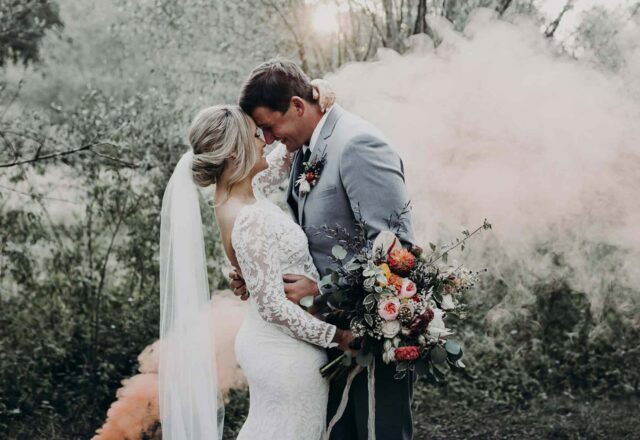 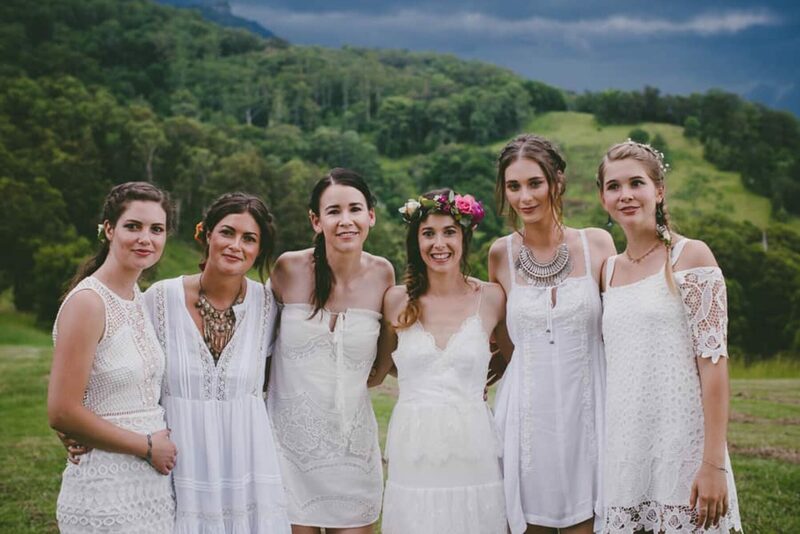 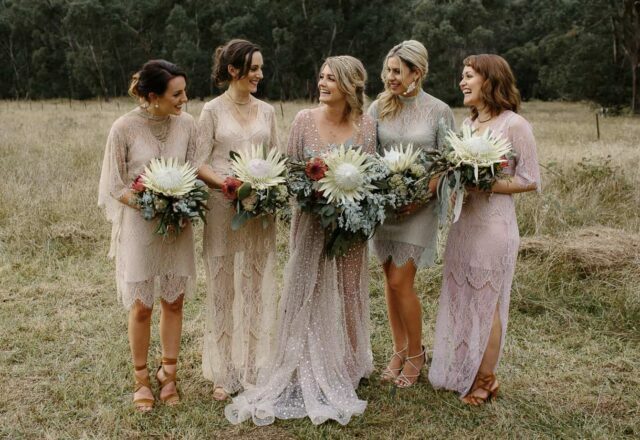 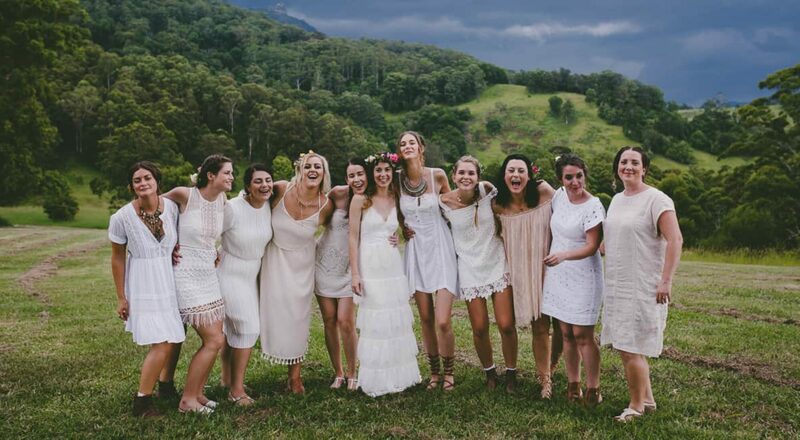 The bride gave her maids some loose guidelines to purchase a dress they loved that was “white, short, pretty, lace and boho” – who wouldn’t love that brief! 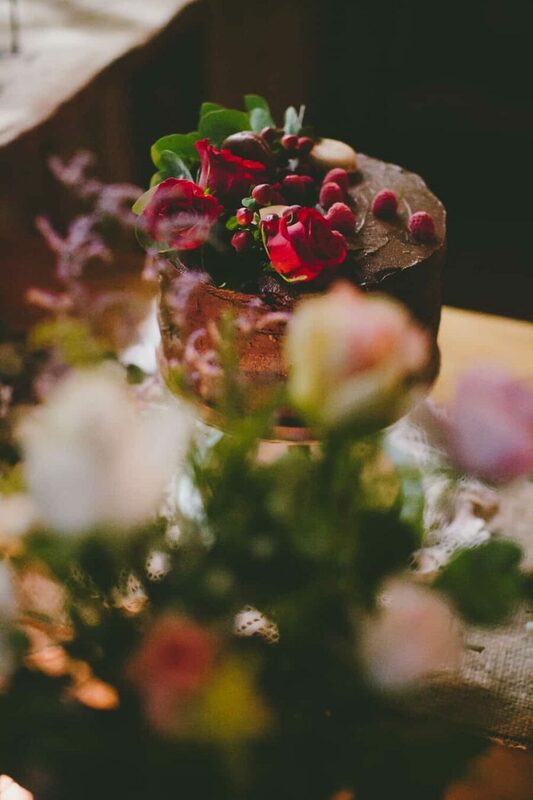 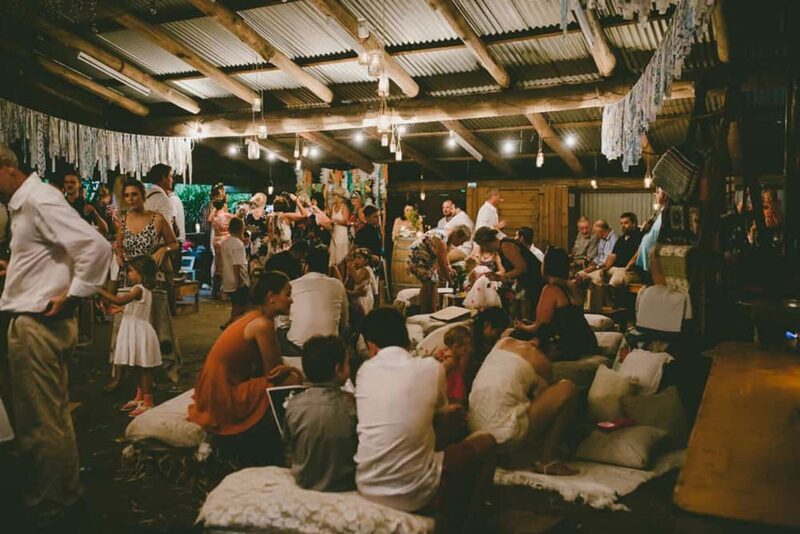 The old barn was transformed into a cosy reception space with props from Arctic Fox, Sunshine and Confetti, and plenty of opshop bargains sourced by the bride and groom.